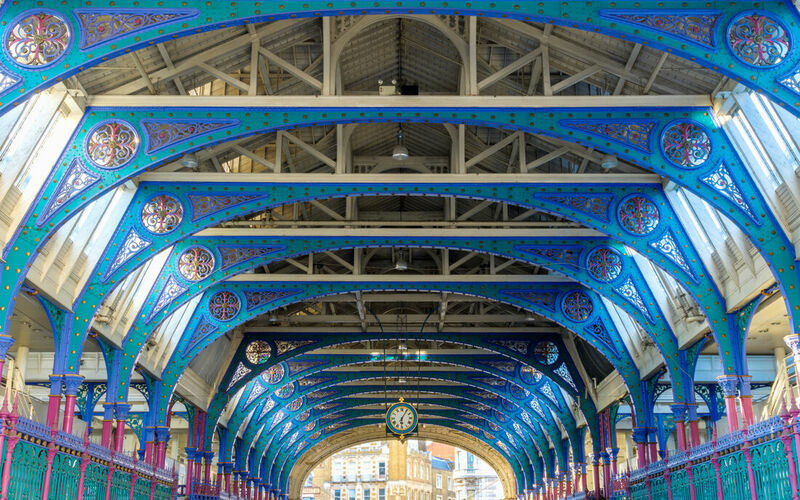 Our work at the Smithfield Poultry Market perfectly highlights the breadth of geotechnical services offered by Plowman Craven, with multiple deliverables and a range of innovative techniques being deployed to capture data at this unique Central London location. 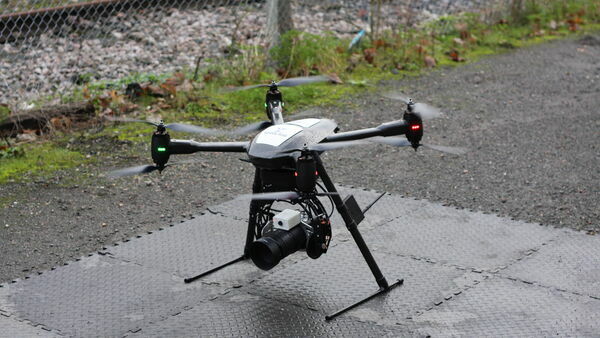 Our UAV Technical Manager, James Dunthorne, explains why using a state-of-the-art drone brings so many benefits to a project. 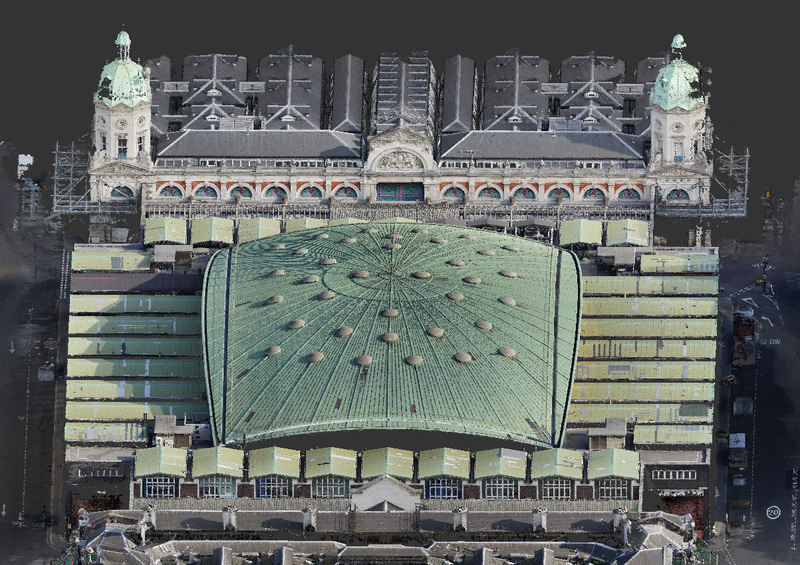 In addition to scanning the main structure, the glorious dome roof was of particular interest to the client. Unfortunately, it was all-but inaccessible to surveyors - even getting traditional scanning equipment to the roof was virtually impossible given the narrow access stairwells. As such, our UAV (Unmanned Aerial Vehicle) team provided the perfect solution, capturing detailed geomatic data from 40m above the structure. Just how good is the data captured by UAV? The quality of outputs is excellent. 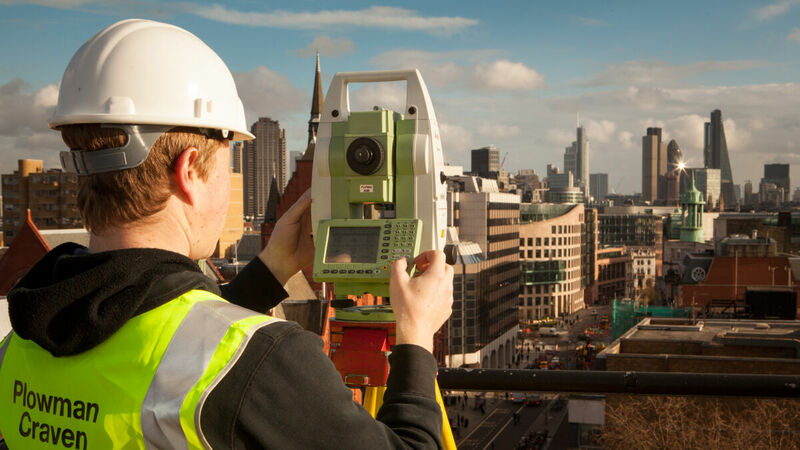 We’ve invested heavily in the latest equipment and software to produce high-definition imagery and survey-grade data with levels of detail and accuracy that are comparable to a laser scanner. 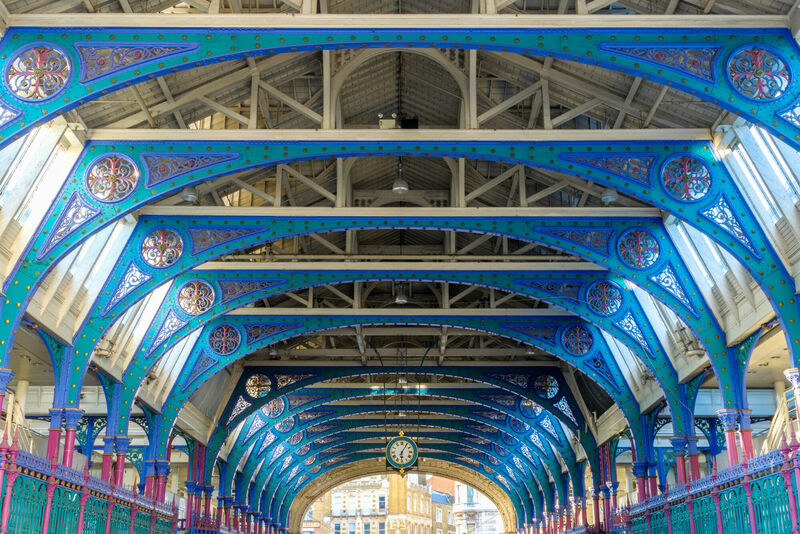 At Poultry Market, the UAV survey delivered geomatic point cloud data of the external structures along with interactive panoramic imagery of the roof that enabled a condition survey to be supplied. All the data collected was then seamlessly integrated with the internal laser scans and 360° photography to create the required client deliverables, including TruView and Condition Capture. All the data collected was then seamlessly integrated with the internal laser scans and 360° photography deliverables. With the ability to cover large areas and access hard-to-reach locations, Plowman Craven is now offering a range of Aerial Surveying and Inspection Services, using advanced technology to deliver highly-accurate aerial survey data across the property, construction and infrastructure markets. What are the challenges of flying in Central London? The heart of the City is an area of restricted airspace - UAVs are only able to fly with express permission from the National Air Traffic Service (NATS). Our pre-flight planning process involved securing NATS permissions, and because Smithfield is in the EGR158 restricted area we were also required to notify the Diplomatic Protection Group and London Air Traffic Control. Additionally, we issued a Notice to Airmen (NOTAM) to the Civil Aviation Authority (CAA) alerting other air users to Plowman Craven’s aerial activities. This comprehensive administration process is vital to ensure all relevant parties are correctly notified and that all legal requirements and observed. What safety procedures were in place? Once a safe take-off and landing zone was established on the roof - taking into consideration the absence of edge-protection – a pre-flight safety check was conducted to ensure it was safe to proceed. In addition to checking battery levels and all control units, this attention-to-detail included a full Health & Safety risk assessment… right down to having a first-aid kit and fire extinguisher on site and establishing the location of the nearest hospital. Is this standard practice in the industry? We take employee and public safety very seriously, following working protocols that far exceed the required standards. As a case-in-point, we received a visit from two passing members of the City of London Police who had noticed our work taking place. As a result of our meticulous planning and strict adherence to regulations we were immediately able to satisfy them that all necessary permissions and procedures were in place. How was the aerial survey conducted? Because of the location and proximity to roads and buildings, the majority of the UAV survey was pre-programmed, using established way points to automate the flight and ensure the drone didn’t accidentally stray over prohibited areas. A number of manual flights were also conducted by our CAA-licensed pilot to survey additional parts of the roof structure. In addition to a video operator (who controls the drone-mounted camera) extra safety controls were provided by a member of the UAV team at street level who was in constant communication with the pilot to ensure persons or vehicles were not overflown.